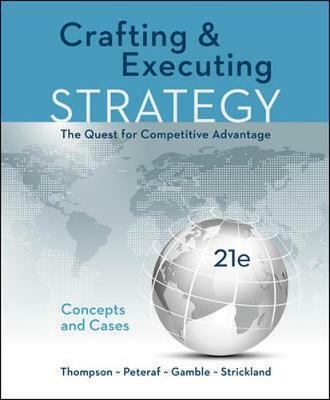 Emphasis on company’s strategy must be matched not only to its external market circumstances but also to its internal resources and competitive capabilities. Content tightly linked to the 31 high-interest cases, most of which are written by the text authors. Mainstream, balanced treatment of the latest developments in theory and practice of strategy. Improve student learning outcomes using Connect our easy-to-use homework and learning management solution that embeds learning science and award-winning adaptive tools to improve student results.